Home / DIY/Crafts / Smart Machines Remote Control Models Are Awesome! Smart Machines Remote Control Models Are Awesome! I am so impressed with the number of toys that are out there now that really make kids use their skills in building and engineering. The Brain Crunch Smart Machines are one of those toys. This building toys come with all of the parts and instructions to make 4 different remote control toys, a fire truck, duck robot, train, and a skier robot, how many kids do you know that would want to make all four? I know that every one of the kids I showed this kit to loved it and wanted to make all of them. With 4 toys in one, who could really ask for anything more. I have to say that the one skill I think this teaches children is the skill of patience and persistence, personally I think that this is one skill that is lacking in our youth today. 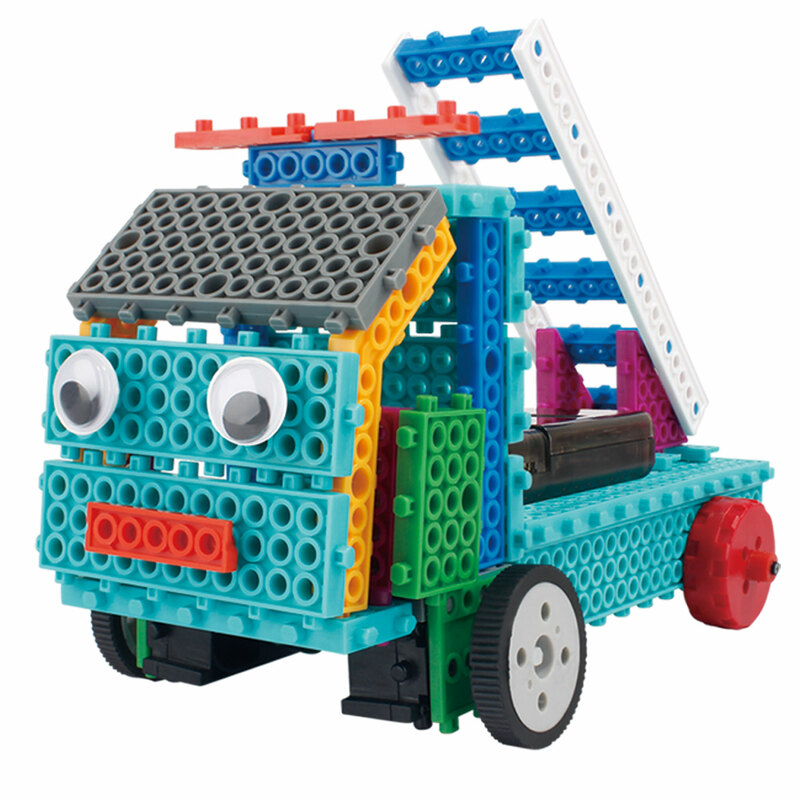 Instant gratification is the prominent ability in most toys today, and these Smart Machines show that with a little time and effort they can make something with their own two hands that is simply more amazing than store-bought robots and remote control cars. There are a ton of little pieces in this kit and it is made for the older set of kids, over 8 would be great with this, but I have to say my two oldest kids at 25 and 28 were very excited about building the fire truck, I guess some things you never outgrow! When they went through all of the parts and the manual, they were easily able to build a great fire truck toy without too much trouble. The parts fit together well and they all fit together like the instructions said, it was low frustration and could be done by a child alone or even better with an adults help. Some toys are easy to use and simple to operate and offer kids the instant fun of tearing a package open, but these Smart Machines really have an advantage over those by allowing kids to have the pride and satisfaction of knowing they did it themselves. Highly suggest this toy for kids this holiday season! You can connect with Smart Machines at their website here and check out all of the options they have!